July 11, 2017, 12:07 p.m.
By Madeline Welsh @madelinebwelsh July 11, 2017, 12:07 p.m.
For subway commuters, it’s a common enough situation: you get on the train, pull out of the station and…ugh, you’re offline. On your phone: yesterday’s tweets, maybe a news app loaded up with old stories, a newsletter with links you can’t open. Although many news apps now enable offline reading, they don’t ensure that the things we have access to offline are relevant to us as individual readers. I can get content offline from a news app on my morning train ride, but when I pull out of the station, I have no guarantee that what it will have served me will be relevant to my interests, in a format I like, or something I can reasonably read in the the time I have left in my commute. At the Guardian Mobile Innovation Lab, we think there is space to push past what currently exists for offline reading, particularly where it intersects with the burgeoning area of content recommendations. To do this, we’ve looked at what exists for each type of experience and tried to identify the gaps and opportunities. There are a few ways to get news offline currently: through the apps offered by news organizations, and through other apps that provide a way to access previously stored links from across the internet. The first: Download all the stories from a given news app at once, without preference given to what they are and how much time you have. Second: Have a separate app that holds all the stories you have collected to read from across the web. Many major news apps, as a form of efficiency, download and cache some or all of the app’s stories when the app is connected to wifi or cell signal. While not specifically a feature intended with the goal of making offline reading easier, some nonetheless have this function. You get the full sense of what the news organization considers important that day, akin to what they put on their home screen, even if you only read a fraction of what you’ve downloaded. The other method, popular through apps like Pocket or Evernote, is to have the user do the work upfront by saving, or “pocketing,” links from across the web as they see those that interest them, and then pulling them up for offline reading later. Creating the link collection is incumbent on the user, and doesn’t enable further discovery of the “Hey, you saw this, we think you might also be interested in this” variety. With apps like Pocket, what you saved is what you get. One interesting product we saw was News.me, which unfortunately shut down in 2013. It contained an iOS app feature called Paper Boy, which incorporated elements of your commute into your reading experience. When a user left a location they had designated in the app as their home, a reading package, pulled from what that users’ contacts were reading on Twitter, would be downloaded to their phone. We were fascinated with this product for the ways it made use of mobile location data and also sought to address the issue of timing: Paper Boy was attempting to send readers a package of information they wanted, before they remembered they would want it. For now, it seems that what’s out there are good initial options for the most basic prompt: “I want to read offline.” But when the prompt is adapted to “I want to read news that is relevant to me while offline,” it’s clear that the available options fall short, and that without significant upfront investment of time (in the form of finding content yourself and saving it), there is no solid guarantee of having relevant content available for offline reading. Right now, while some news organizations are working on content recommendations, standalone services that include recommendations are trying to do that work of surfacing similar or relevant content for users in a few ways, according to what can be known about them. First: Content recommendations can come from your social graph — your contacts and friends lists — which an app can ask for access to. Second: Some apps offer the option to subscribe to topics during onboarding, or to follow a topic or author within stories you are already reading, so they can send future content based on those categories. Content recommendations might come from an app, such as Nuzzel, that asks for access to your contacts or friends list to show you things you might like to read based on what they’re reading. Or recommendations might come from allowing the user to create playlists of content, as on the podcast app Stitcher, then sending them content popular with users who selected similar content. In another method, a user can follow a series or an author, and receive a notification the next time the person or series followed is published. This feature is available in The Guardian’s apps. Other news sites have been lightly experimenting with content recommendations for years: The New York Times’ “Recommended for You” section, available on desktop and mobile web, shows logged-in users a selection of articles they have not read. 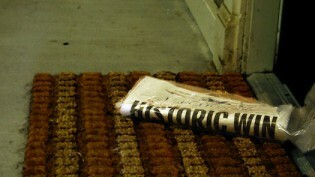 The Times has also announced a new initiative to surface relevant, personalized news to each user. Content recommendations also factor into a growing conversation about developments in artificial intelligence and its potential role in the newsroom. The discussion has addressed how AI and machine learning can be used to, for example, automate financial market stories or make comment moderation more efficient, as this post by Erica Anderson, partnerships manager at Google News Lab, lays out. Another exciting potential use for AI: better content recommendations requiring less explicit upfront work from the user. But what’s missing from these content recommendation methods now is that they don’t live up to the promise of giving readers content clearly keyed to their interests. A product based largely on a user’s manual preferences as they have indicated them is interesting, but limited. What if the user could access a set of recommendations, each of which would be relevant, through doing nothing more than simply consuming news as they would normally, allowing a recommendation engine to begin to “learn” more about the user? While using my social graph provides a good look at the types of topics my network is interested in, it can fail to understand the nuances of my personal interests. For example, the fact that I follow friends who tweet about sports doesn’t give my preferred news organization any signal that, while I enjoy basketball stories, I don’t enjoy baseball in quite the same way. My reading history — lots of more basketball stories versus few baseball stories — might provide just that level of information. Similarly, while the ability to receive stories based on playlists I have custom created will ideally give me additional selections that reflect my interests, the results won’t appear without a significant initial investment in setting up my preferences. Further, elements that news organizations could actively track and recommended against could help produce a better selection. Yahoo News Digest, another recently shuttered product that offered a package of stories (the content was not personalized), asked a user when they want to receive the briefing. Instead of asking “When do you want this,” what if Yahoo asked, “When do you want this and how much time do you have to read it?” Reading time then becomes another element of the recommendation. Using various signals from their mobile phone, we might be able to gauge how much content a user would prefer and add that to what we know about them. The integration of content recommendations and offline reading would be particularly useful when you think about the original use case of commuting. While they do a good job of keeping content you’ve bookmarked in one place, none of the most popular offline reading apps, like Pocket or Newsify, have created a flexible, optimal offline news-reading package for individual users, nor do they include elements of personalization gained from the variety of signals from people’s mobile devices. And on mobile, the benefits of this merger become even more clear. By integrating elements of personalization, gleaned from a user’s reading history, as well as location, and timing the delivery to when they might need the offline package ready, we think there’s an opportunity to make offline reading more lively, relevant, accessible, and transparent to users, as well as a more complete experience. We’re in the midst of building an experimental product that explores some these opportunities, and are now thinking a lot about how we will measure engagement. For this product to be successful, we need to understand the correct signals that tell us which types of articles a user would like to see more of. In addition, we’re also looking at the problems that have plagued personalized products before: How do we get users to sign in, and how can we best be transparent about what data we are gathering? How do we give people personalized content without also making them feel they might be missing out on other news? What can we do to put users in control of what they are seeing without feeling overburdened by the need to constantly maintain their settings? We’ll have more news about this experiment and a way for you to sign up soon. Madeline Welsh, a former Google News Lab Fellow at Nieman Lab, is associate editor of the Guardian Mobile Innovation Lab. This piece originally ran on Medium. 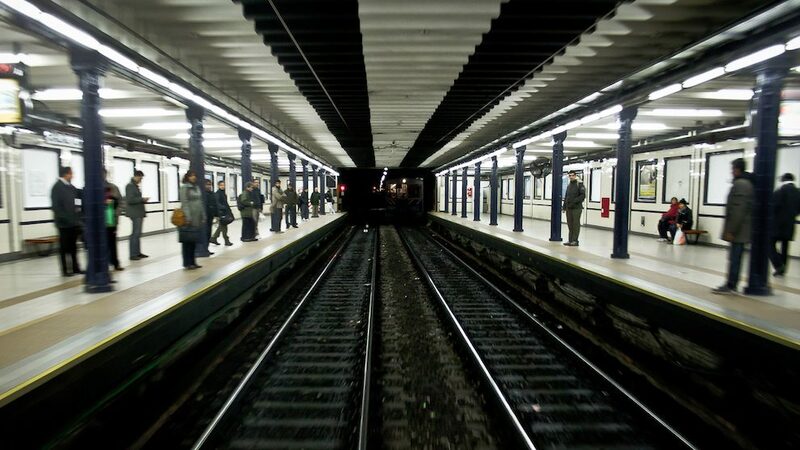 Photo of a Buenos Aires subway by Hernán Piñera used under a Creative Commons license. POSTED July 11, 2017, 12:07 p.m.
Welsh, Madeline. "How do we build a better recommendation experience for mobile news readers?." Nieman Journalism Lab. Nieman Foundation for Journalism at Harvard, 11 Jul. 2017. Web. 24 Apr. 2019. Welsh, Madeline. "How do we build a better recommendation experience for mobile news readers?." Nieman Journalism Lab. Last modified July 11, 2017. Accessed April 24, 2019. https://www.niemanlab.org/2017/07/how-do-we-build-a-better-recommendation-experience-for-mobile-news-readers/. | title = How do we build a better recommendation experience for mobile news readers?